The posters and brochures below are available for free. 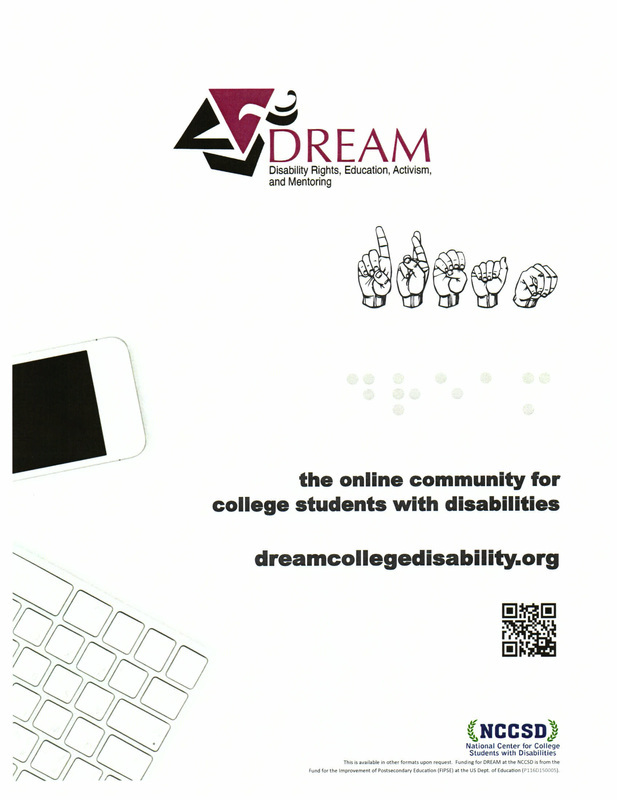 You can download these to your computer and print them out yourself on your printer, or send the files to your campus Printing Services, FedEx Office(tm) or other local printing service. To enlarge to 11 X 17 poster size, it usually works to choose 129% enlargement in your Print options. If you have questions, or need other file types or assistance with downloading these, please contact the NCCSD at nccsd@ahead.org. NCCSD is not responsible for fees incurred for printing. 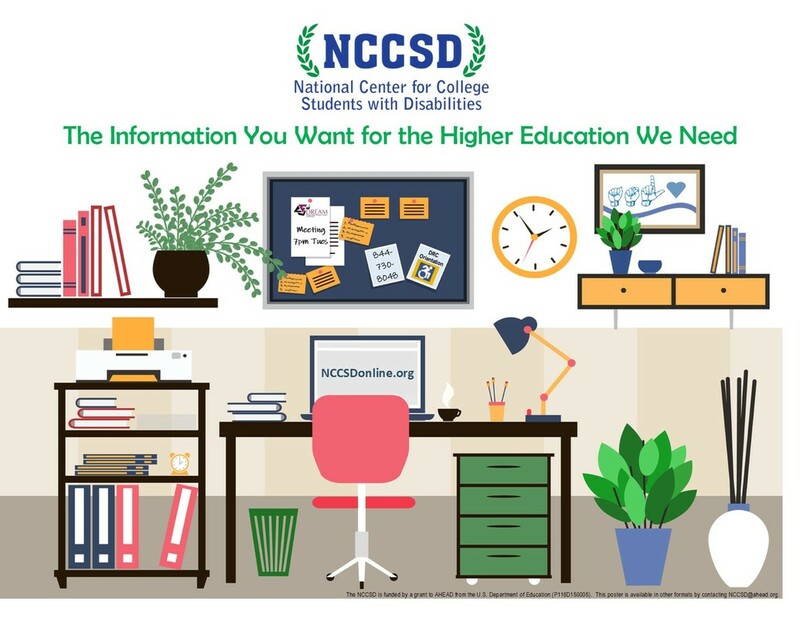 ​Click on "NCCSD Promotional" image to download. 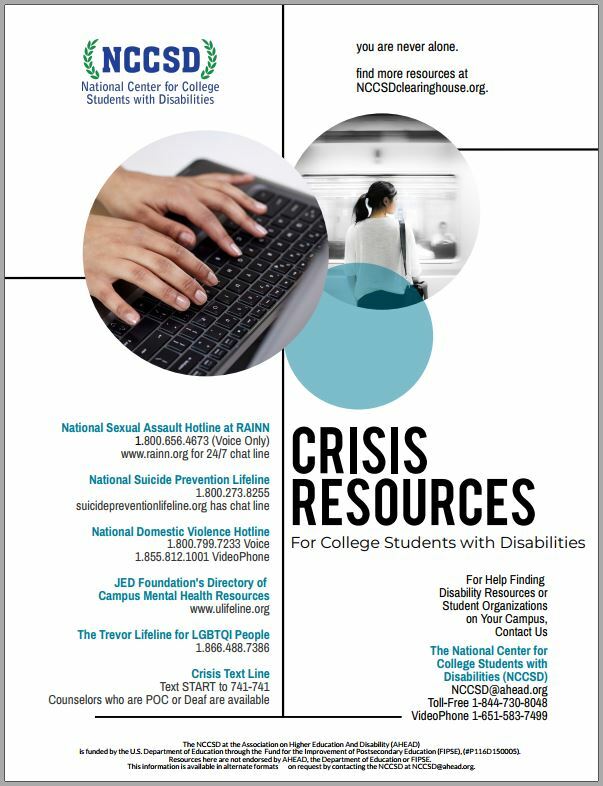 ​Click on "Crisis Resource" image to download. 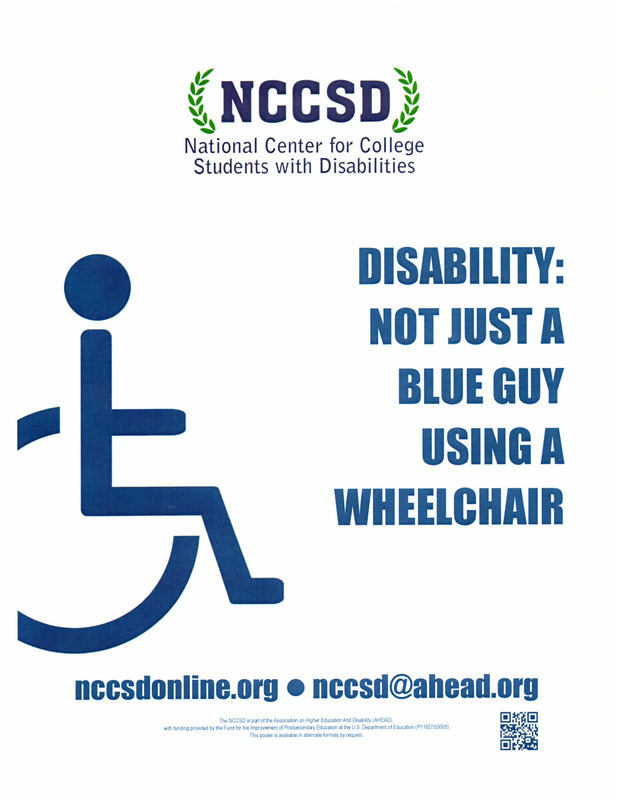 Key text: "Disability: Not Just a Blue Guy Using a Wheelchair." ​Click on "Blue Guy" image to download. 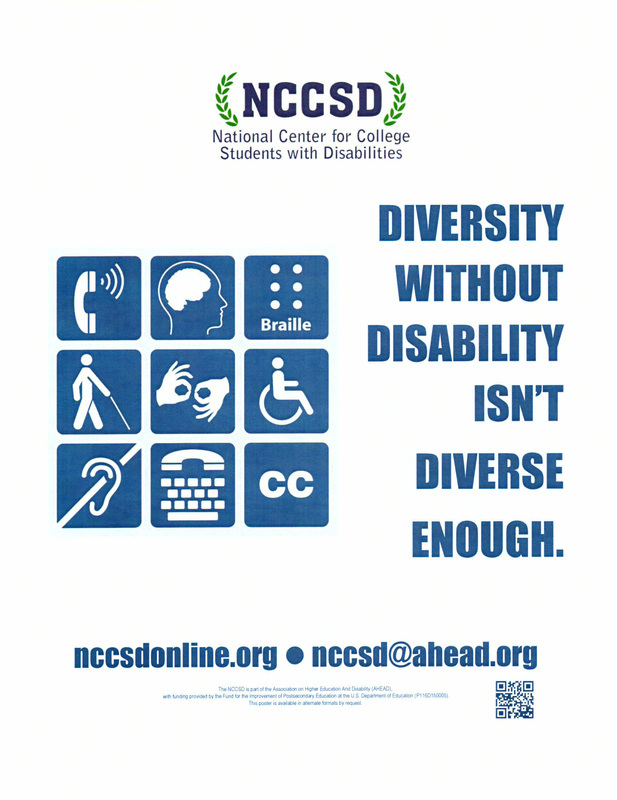 Key text: "Diversity without disability isn't diverse enough." 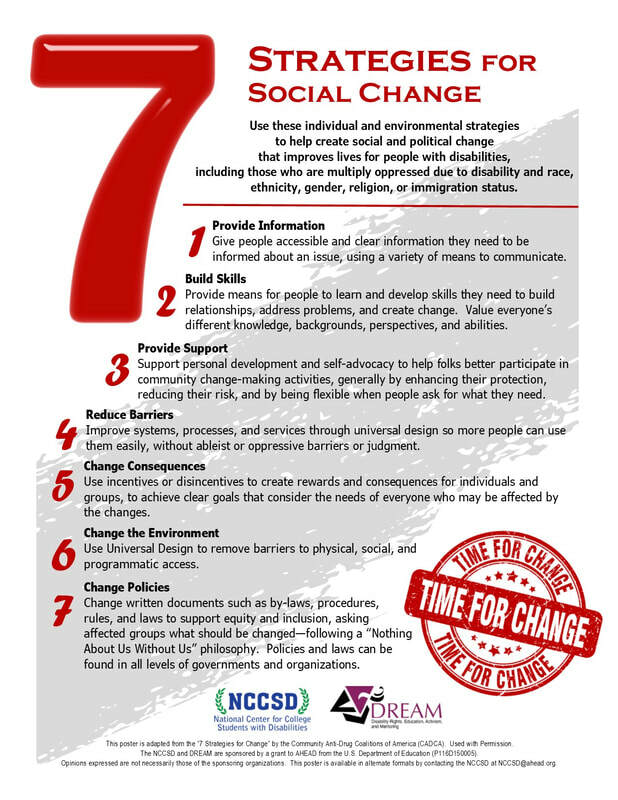 ​Click on "Diversity poster" image to download. 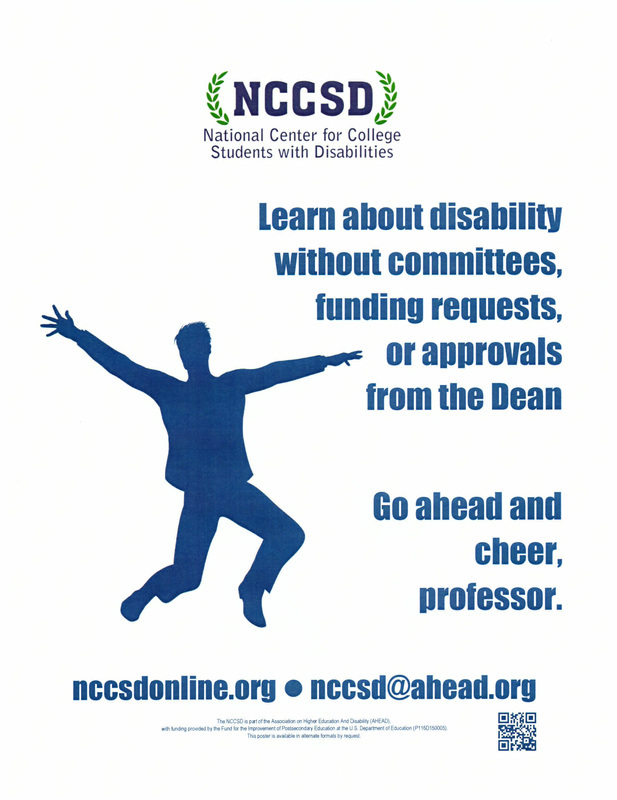 Key text: "Learn about disability without committees...go ahead and cheer, professor." Click on "Cheering Prof poster" image to download. Key text: "Be an Ally. Learn. 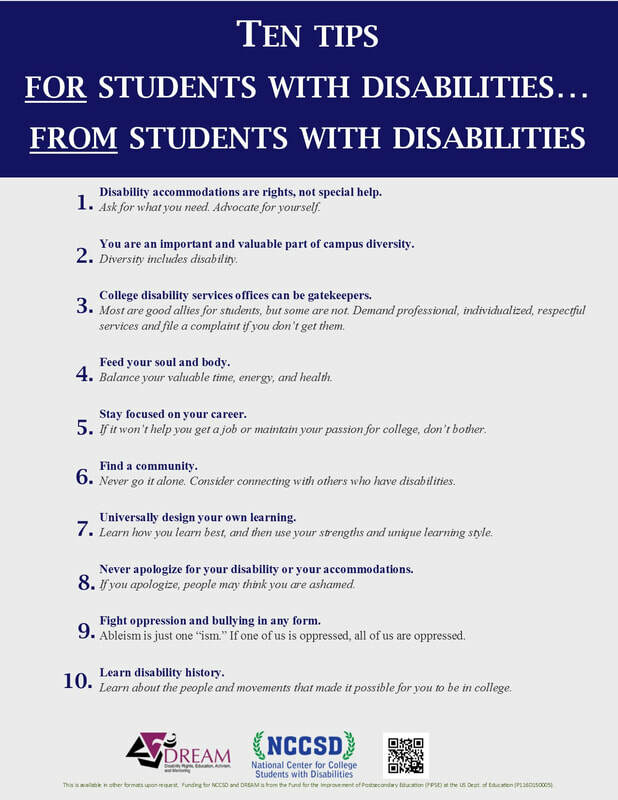 Eliminate ableism." 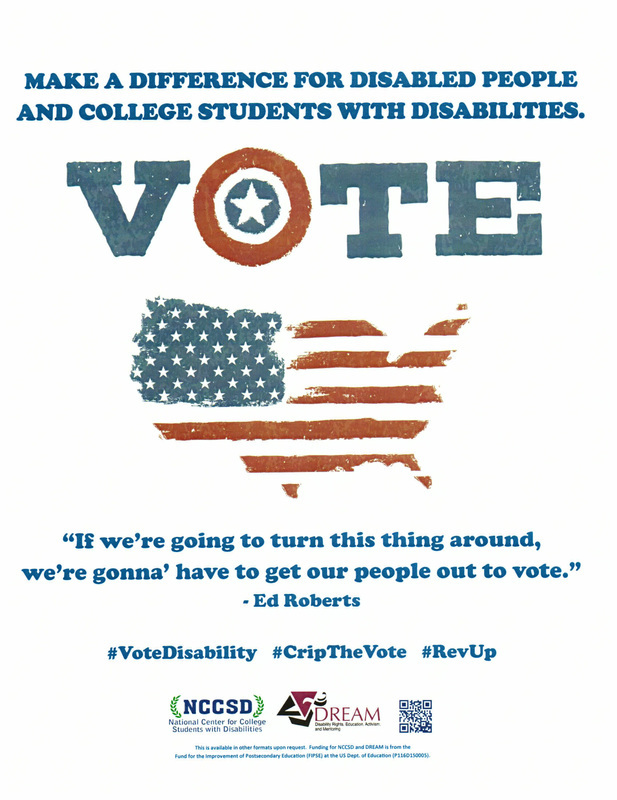 Key text: "The Online Community for College Students with Disabilities"
Key text: "Make a Difference for Disabled People and College Students with Disabilities" and Twitter campaigns for the disability vote. 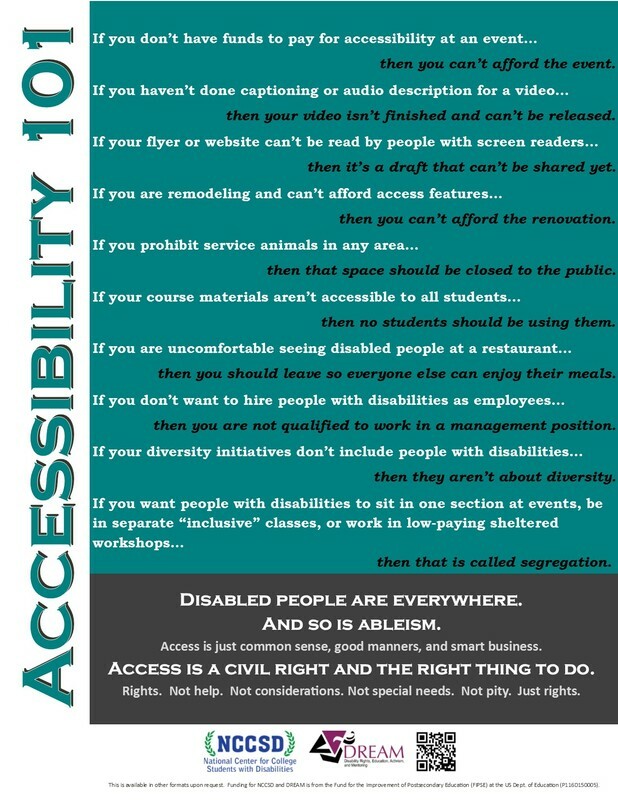 Key text: List defining ways of doing/not doing access. 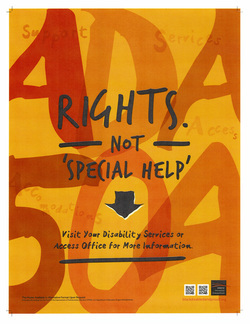 "Access is a Civil Right and the Right Thing to Do." ​Click on image to download. Use tri-fold (2 folds dividing paper into 3 parts. 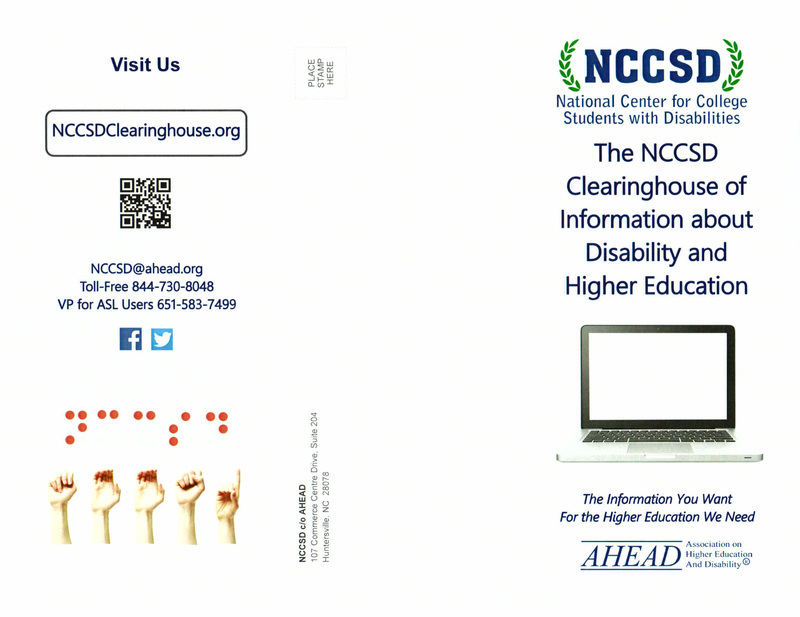 Click on "NCCSD Clearinghouse Brochure" image to download. Use tri-fold (2 folds dividing paper into 3 parts. 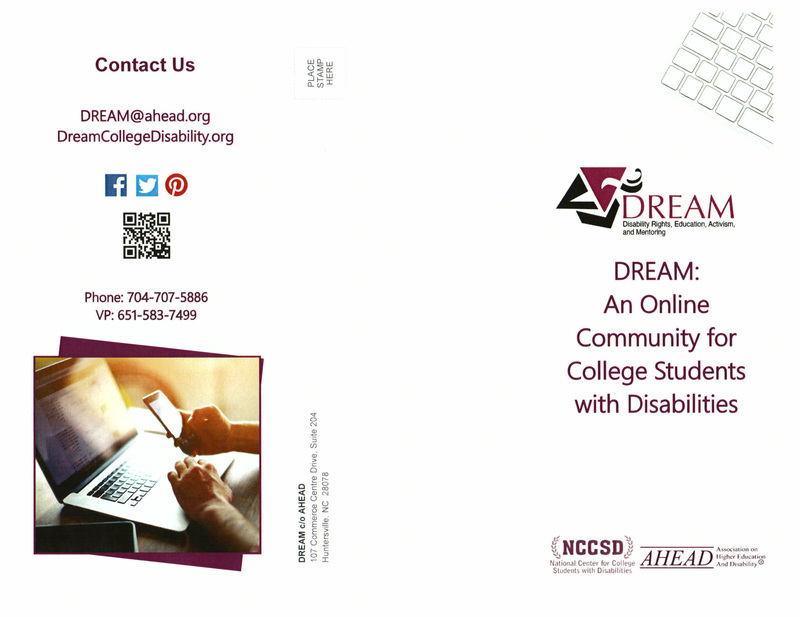 Click on "DREAM Brochure" image to download. Use tri-fold (2 folds dividing paper into 3 parts. 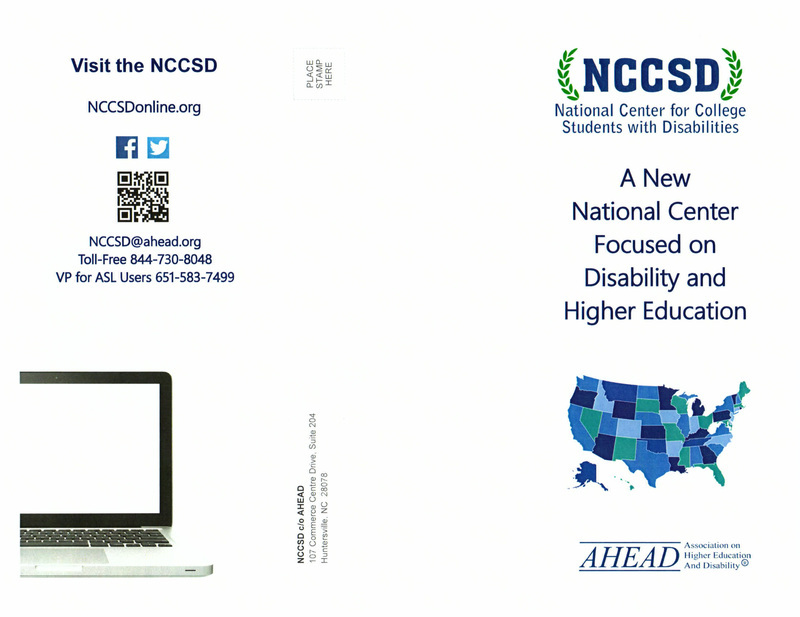 Click on "NCCSD Brochure" image to download. 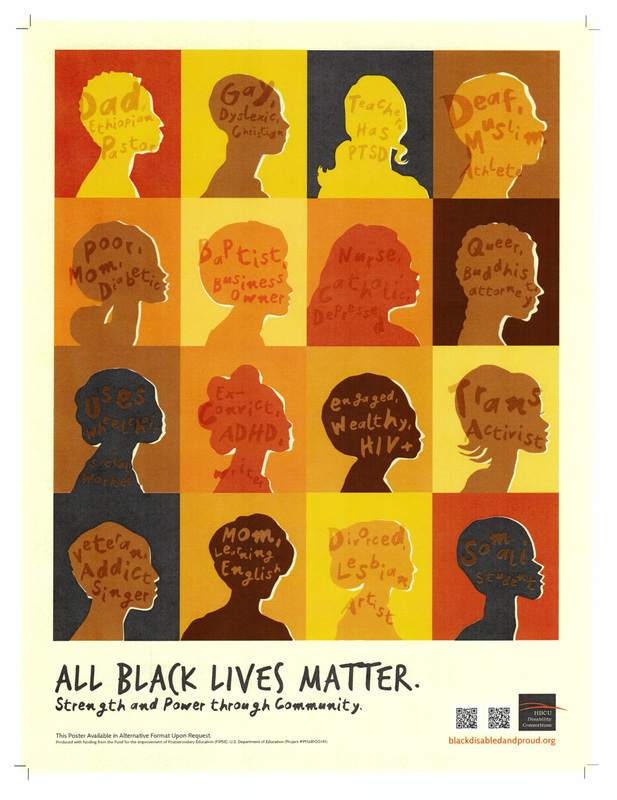 Key text: "All Black Lives Matter: Strength and Power through Community"
Key text: "Rights. Not Special Help" with "ADA" and "504" in the background. 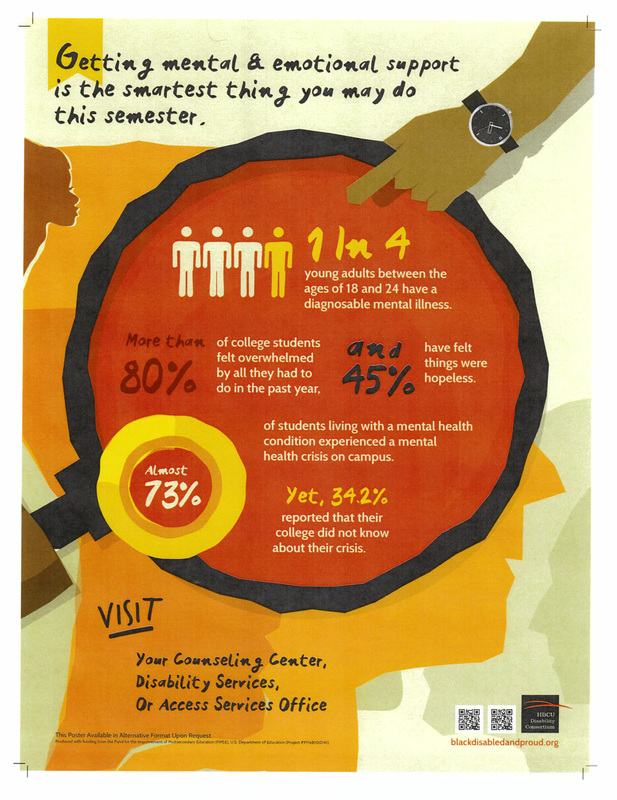 Key text: "Getting mental and emotional support is the smartest thing you may do this semester" with infographic. 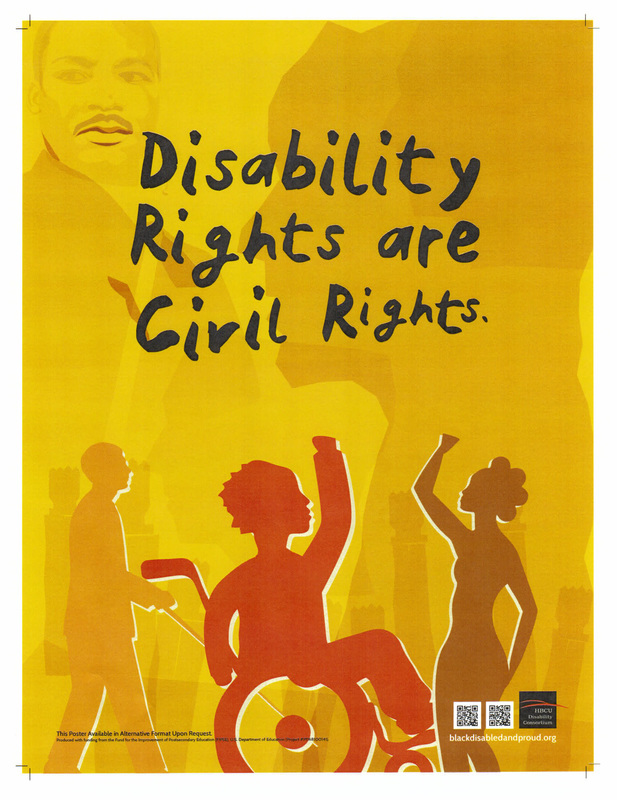 Key text: Disability rights are civil rights" with image of MLK and people with disabilities in background and foreground.